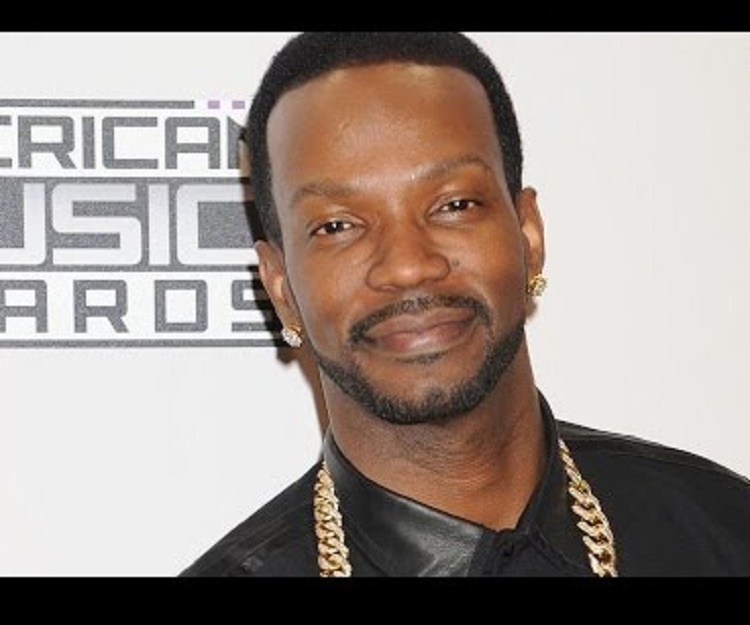 Juicy J (Jordan Michael Houston) is an American rapper, songwriter and a music producer. 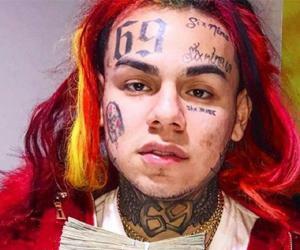 Let’s take a look at his family, personal life, career, achievements and some fun facts. Juicy J (Jordan Michael Houston) is an American rapper, songwriter and a music producer, known best for his part in forming the popular rap group ‘Three 6 Mafia’, which mostly deals in southern raps. Juicy started the group in 1991 along with Lord Infamous and DJ Paul. The group got signed with Prophet Records and released their album ‘Mystic Stylz’. The label was formed by the group itself but later, they severed their ties with it. Two of the Albums Juicy J recorded with the band went triple platinum and earned him humongous name and fame. Apart from his collaborative efforts, Juicy has done several solo albums that dominated the American rap hip*hop community which mostly belongs to the eastern and western rappers. His other collaborations include La Chat, Gangsta Boo and have helped Wiz Khalifa with his record label ‘Taylor Gang’. Apart from that, his foray into film music has also been a major influence on his growing fame as he has won awards in many categories at the World Music Awards. He has also been honoured with the Academy Award for the Original Song in a movie category. 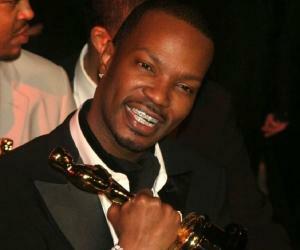 Juicy J was born Jordan Michael Houston on 5th April 1975 in Tennessee, US. He was a music enthusiast since his early days back in his hometown, but his family couldn’t really afford musical instruments and he used to practice drums on empty jars of oatmeal. His grandfather owned a piano, but he wouldn’t let J near it and eventually Juicy got his very first Casio and it was just the beginning of a lifetime of music creation. In order to start creating music professionally, Juicy bought a four track recording machine from one of his high school teachers and started creating music without any formal training. His official music production career started in the early 90’s when he and his music partner DJ Paul found each other and resonated well when it comes to taste in music. They started making music and their beats were feet tapping and sometimes too dark to be categorized as hip hop. They somehow marketed themselves and invited fellow rappers of their area to rap on their beats in their home town of Memphis. The tracks thus resulted were later converted into music records and hence, Triple 6 Mafia came into existence. Their recordings in the early stages were bad for the most part, but some of them were so good that they would later find space in the group’s albums with a slight bit of rework. The group then changed their name to Three 6 Mafia and worked hard on their debut album ‘Mystic Stylz’ which was mostly a collaborative effort between several small time non professional rappers from their locality. The album featured some really dark music but somehow, sounded different than what most of the youngsters listened to in those times. The album resonated well with the underground community of Memphis and a distribution deal was signed with Hypnotized Mind Imprints. The album was already rocking the nightclubs and discotheques locally and the group was receiving increasing attention and the confidence thus gained resulted in DJ Paul and Juicy coming out with several albums in the following years, both collaborative and solo under the Hypnotized Mind banner. The group continued with their music and their influence couldn’t have been ignored anymore as they embarked on the mainstream American music scene in 2000 with their album ‘When the Smoke Clears’, which ended up reaching the number six spot in Billboard’s album chart. After finding the mega success, Paul and Juicy decided to take a break from the group and went on to follow their solo careers. Juicy came up with his debut solo album in 2002 titled ‘Chronicles of the Juice man: Underground Album’. 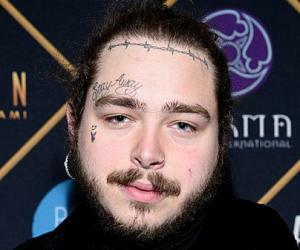 After the success of his first album, his second album came in 2009, which featured Gorilla Joe, Gucci Mane and Webbie and was titled ‘Hustle Till I Die’. In 2013 came his third solo album under a Sony owned record label Kemosabe Records and was titled ‘Stay Trippy’ which made its debut at the number 4 spot in the Billboard 200 charts. His fourth and last album till date arrived in 2017 and was titled ‘Rubba Band Business’, which was also a mega hit and Juicy established himself as one of the most prominent southern rappers working in the American music industry. For the song ‘Its Hard out here for a Pimp’, which was an collaborative effort between him, DJ Paul, Frayser Boy and Crunchy Black, Juicy won the academy award for the best original song, which he still considers as probably the biggest achievement of his long and successful career. Post taking a break from Three 6 Mafia, Juicy did some frequent collaborations with Wiz Khalifa and both the musicians worked on several mix tapes together while Juicy released his solo mix tape titled ‘Blue Dream and Lean’. In Katy Perry’s fourth studio album titled ‘Prism’, Juicy featured in a song called ‘Dark Horse’ and in the mid 2014, Juicy released a single titled ‘Low’ in collaboration with Nicki Minaj, Young Thug and Lil Bibby and later in 2015, he went into collaboration with Wiz Khalifa and R. City for the single ‘For Everybody’, which turned out to be a mega hit on the social media space and among the critics. The song he did with Katy Perry, ‘Dark Horse’ rocked the World Music awards and bagged two nominations in the best song and the best video category. He also has been nominated for Grammy awards and the BET hip hop awards. Although Juicy keeps his private life away from media’s prying eyes, he has been spotted with Regina Perera and the rumours are around that both got married in 2016 in Las Vegas. There is no confirmation to the rumours but their relationship status has been confirmed but a photo shared on the rapper’s Instagram account almost confirms it.